It’s New Year’s Eve and what better way to end the year but with a party dip?! This is my son’s favorite dip, he requests his own dish to eat all by himself. He was so excited for me to make Buffalo Chicken Dip that he went to the market and bought all of the ingredients for me to make it! Sounds great to me, he can do the shopping anytime! This recipe comes from my friend Cooking From a Stay at Home Mom. This recipe is a keeper that I have made again and again! Happy New Year!! 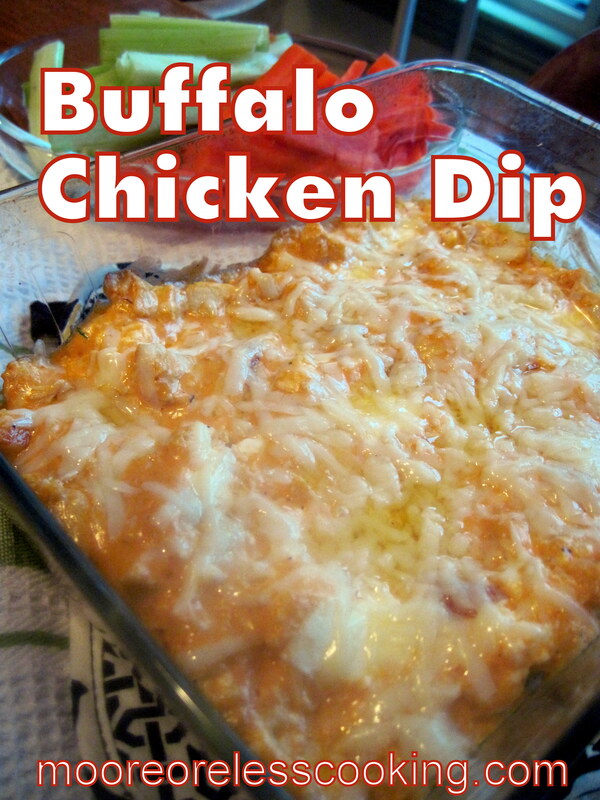 This is a very popular dip that you make for a party or football game! Make it as spicy as you like! In a bowl mix cream cheese, Ranch dressing ,cheddar cheese and wing sauce. Top with cheddar cheese and bake at 350 until cheese has melted. Recipe adapted from Cooking From a Stay at Home Mom.